The celebration for New Year starts right on 31st December and continues well enough till the end of the first week of January. One of the major parts of this New Year Celebration is the tradition of gift exchange. Greeting cards are the most easily available and the commonest kind of New Year gifts. When everyone else is opting for the same things, you can be a bit different. So, to help you all with the selection of gifts, here are some easy and creative DIY New Year gift ideas. People would simply love and adore them because you have invested your valuable time creating these gifts. A vase adds much beauty to a home. Keeping it on the coffee table, dining table, study table, etc. brings a positive vibe. And when you deck up your home beautifully with such things, people who visit your place also find a warmth. 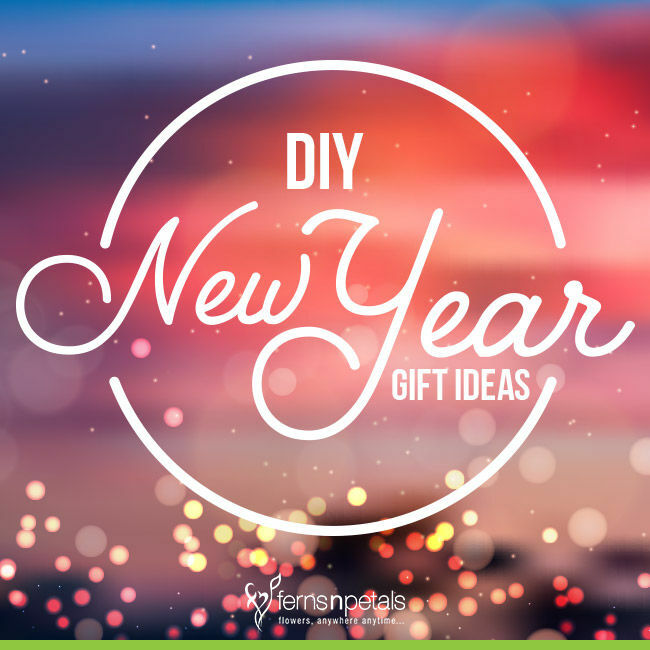 So, opt for this easy & creative DIY New Year gift idea. 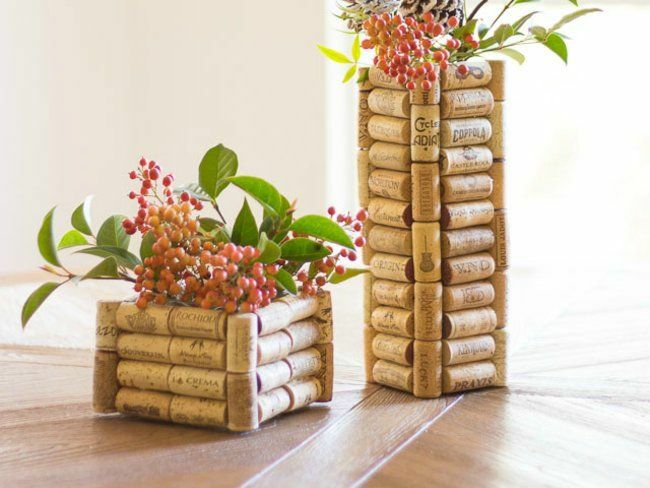 How To Make Vase of Corks? Clean the glass vases first and then glue the corks all over except the bottom. Make sure the corks are of uniform size. Also, follow a pattern for gluing the corks – either horizontal or vertical for each side of the cork. Well, it’s easier to glue the corks horizontally on all 4 sides and opt for vertical placement of corks for the corners of the vase. Now, put the colorful flowers, berries, or colored pine cones and gift it to your loved ones. Once the real flower dries up, people can use this vase to keep their pens, pencils, rulers, etc. It would remain a forever useful thing! Winter season makes the skin dry leaves the lips chapped. 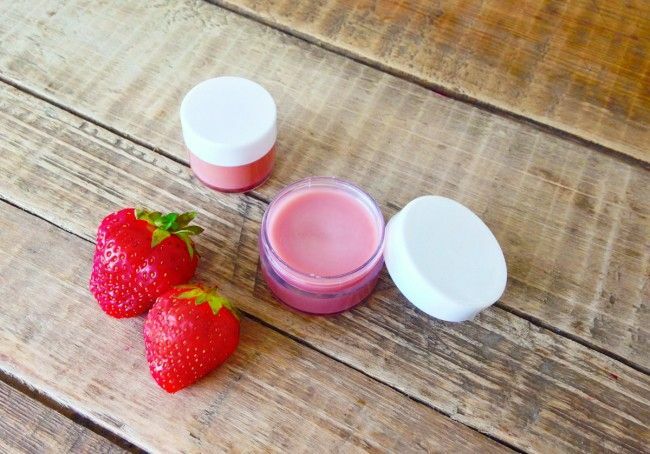 Lip balms of various brands and fragrances are easily available but when you know to make your own lip balms you would love to stick to the pure thing made at home. How To Make DIY Lip Balms? Place the coconut oil, beeswax, and Shea butter in a small glass bowl and place it over a saucepan of boiling water. Let these three ingredients melt and mix well. You can stir with a stick. Now, remove the heat or put off the flame but don’t remove the bowl from the saucepan because it hardens very fast. Now you have to add 2-3 drops of your favorite essential oil and give a nice stir. Quickly pour it in the tins or any small container. It would take 1 hour to cool completely and become firm. Prepare this easy lip balm of various fragrances and gift it to your loved ones which would bring a natural shine to their lips. You can collect some small riverside smooth pebbles for making this DIY New Year gift. Wash them well and let them dry for some time. Now paint these pebbles in vibrant and festive colors like red, green, blue, and golden. Now glue some silver glitters on them sparsely. Bring a wooden photo frame and glue these pebbles on four sides of the frame. This would be a perfect New Year gift for anyone. No gift can be as great as plants. They keep the air cleaner and healthier. So, this New Year spread this message of “Clean & Green Environment” more with this lovely DIY New Year gift idea. Find plants like syngonium, cactus, jade plant, or any other plant of your choice and decorate the plant pot well to get it as a New Year gift for someone. You need some seashells and a small to medium sized plant pot. 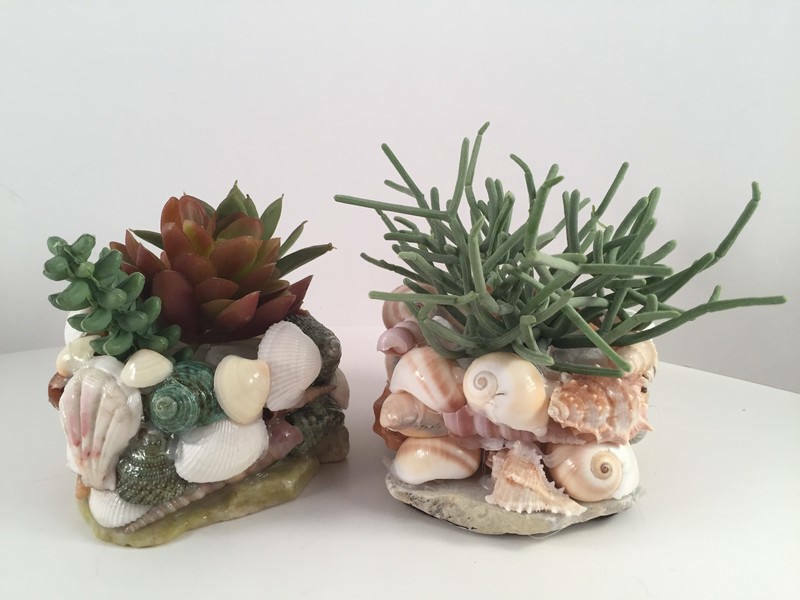 Simply glue the seashells one beside the other on the pot and get it as a gift for your loved ones on this festive moment. New Year Eve or the first day of a New Year is all about spending a nice time with close friends and relatives. Dry and plum cakes that are still there from your Christmas celebration give nice company to the steaming cups of coffee while you are chit-chatting with your best friends. Everyone loves to spend this kind of holiday and thus one of the cool New Year gifts would be cute coasters. 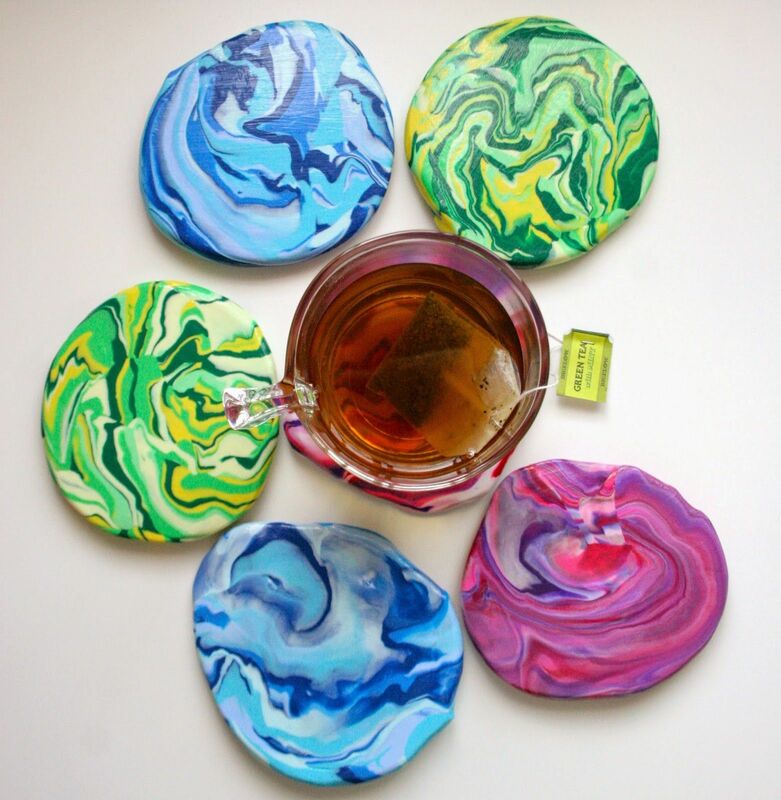 How To Make Cute Coasters? Firstly, preheat your oven to 110 degrees or whatever the clay pack advice. Now bring the lay in your hands to get a round shape and then roll out into a disc. This should have a half cm thickness. You can use the cutter to get the exact shape. Now place it on the baking tray and bake for 30 minutes or go as per the instruction laid on the clay packet. Let it cool for some time and then you can paint as per your choice. Then place it back in the oven at 150 degrees and bake for another 30 minutes. Isn’t this a wonderful DIY New Year gift idea?